Shipping: Free ground freight to lower 48 States. 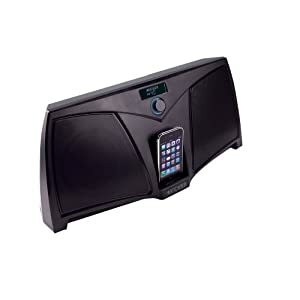 Portable and plenty loud, the iK501 cranks your iPod/iPhone sound through a square-shaped reflex subwoofer and a pair of five-inch woofers and silk-dome tweeters. It’s all powered by a powerful internal amplifier with digital signal processing for one of the richest, best-sounding docking systems available. More of a rocking station than a docking station. 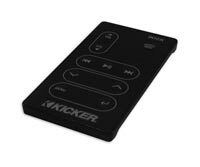 Patent-pending, 6-inch square reflex subwoofer delivers a dynamic bass response with the kind of intensity you’ve come to expect from KICKER. The rotary knob manually serves as the power and selection push button, and controller for bass, treble, auxiliary-input options, or standby mode. Standby will continue to chargethe iPod or iPhone even when the system is powered down. In the dark, the knob is back-lit in blue and the display LCD screen continues to steer the user easily through the menu. The dock works with all iPod models, including the iPod touch and any featuring a click wheel. It is also “Works with iPhone” certified. 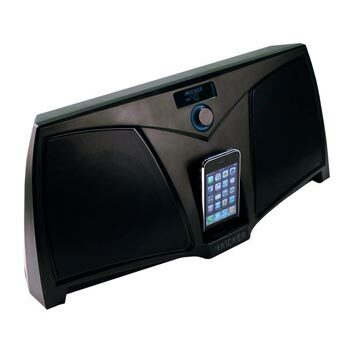 This entry was posted in On Sale and tagged iphone accessory, ipod accessory, Kicker, speakers for iphone, speakers for ipod, woofer by avidshopper. Bookmark the permalink.